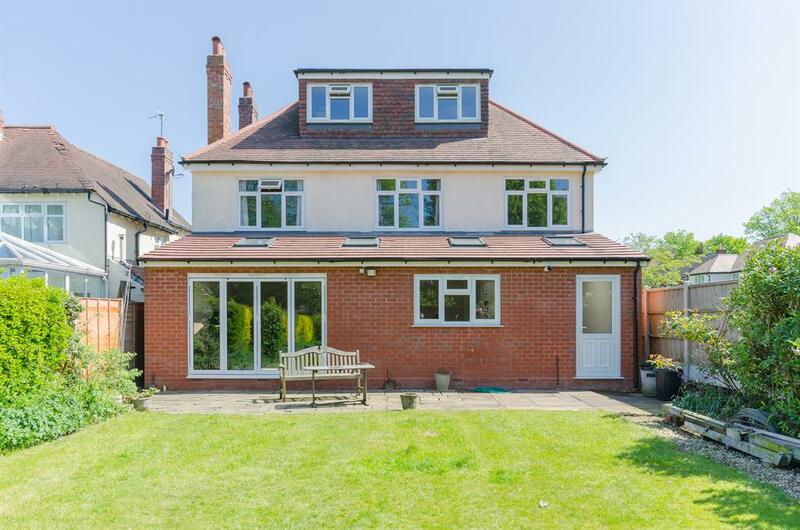 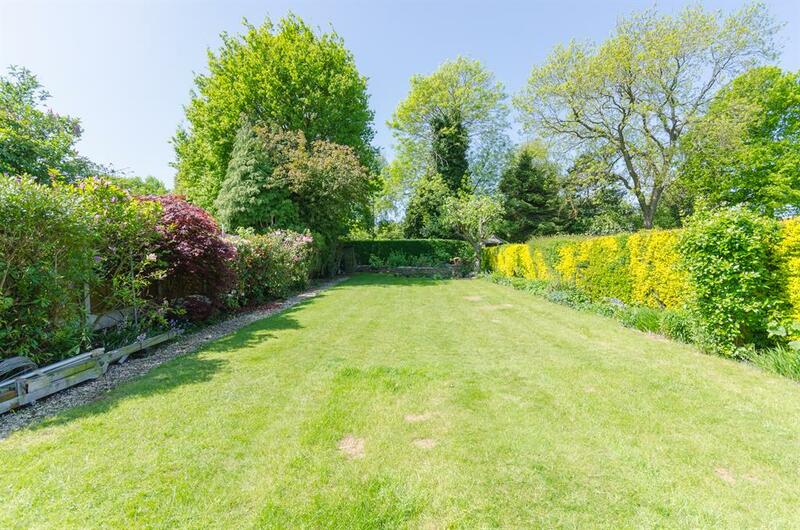 The frontage has a Tarmacadam driveway with parking for two cars, a nicely manicured lawn area, mature bushes, trees and shrubbery, hedgerow to one side and a wall to the other with access to the garage via an up and over door. 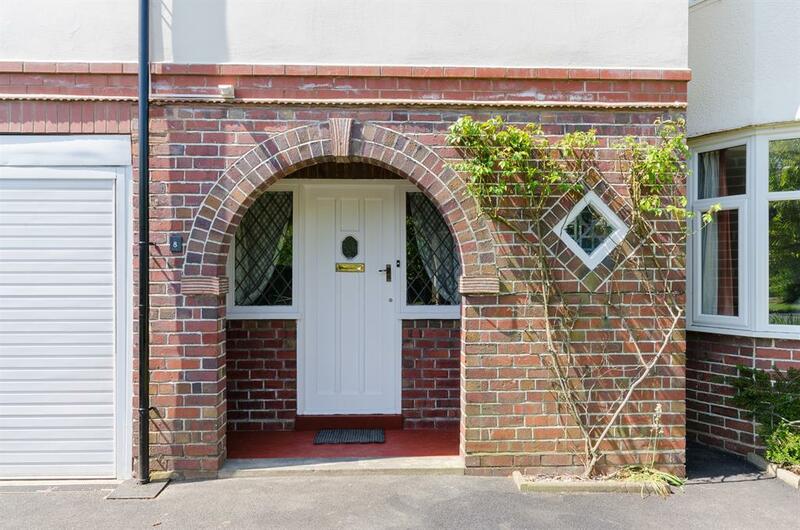 The entrance has a decorative arched storm porch with Terracotta tiled floor and a wooden and glazed front door. 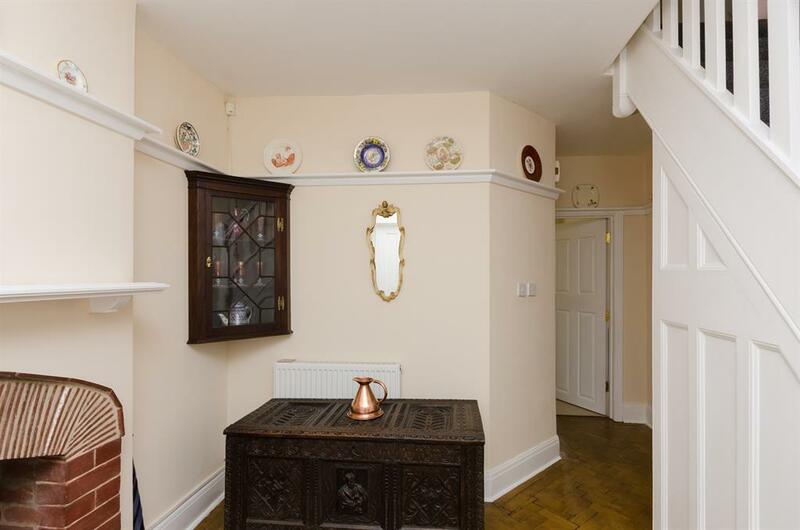 Lovely large hallway with herringbone patterned parquet flooring, a feature fireplace with space for a wood burner, two double glazed leaded windows offering natural light, high ceilings, high skirting boards, plate rails, a radiator, wooden doors leading to two reception rooms, kitchen and stairs leading to the first floor. 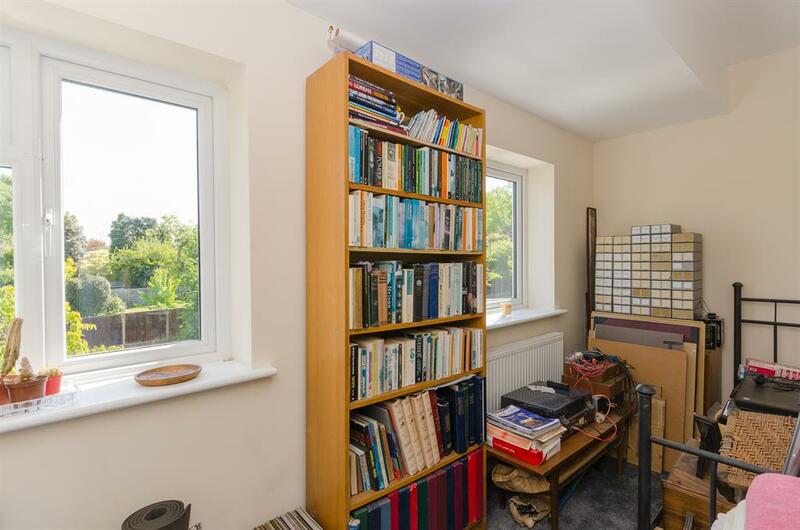 There is a storage cupboard and cloakroom, under the stairs and next to the front door with a double glazed leaded window overlooking the frontage. 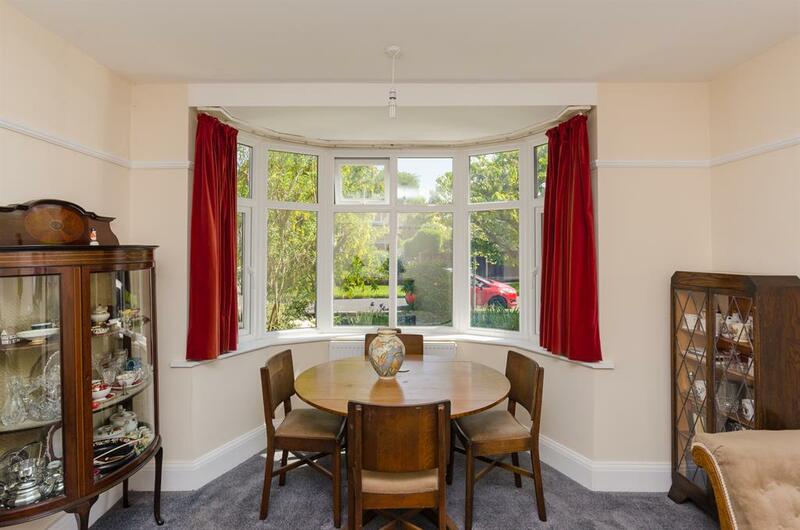 Good size room with a large UPVC double glazed bay window overlooking the frontage with radiator under, high skirting boards, high ceilings, picture rail, feature brick tiled fireplace with gas fire, further radiator and plenty of space for ten to twelve dining. 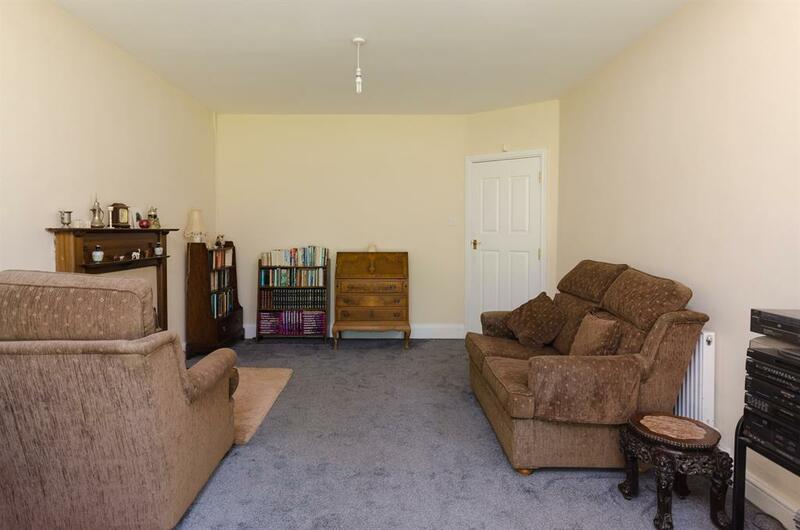 The room opens out into the kitchen diner and has a fireplace with wooden surround, tiled hearth and gas fire with radiator to one wall, ideal as a reading room. 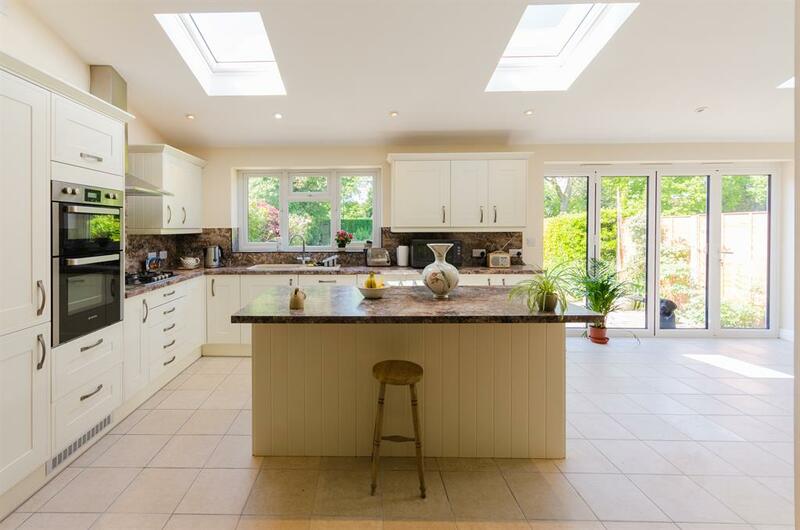 A fabulous open plan extended kitchen diner with bi folding doors leading to the rear garden with tiled flooring throughout. 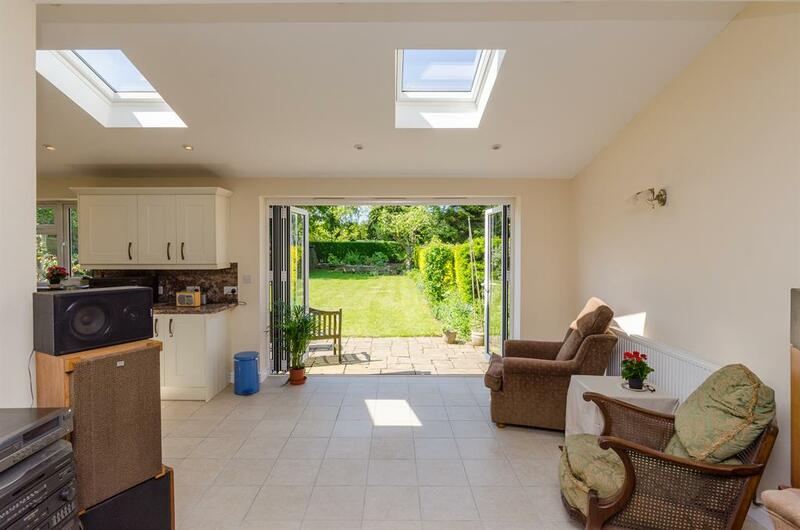 There are three Velux windows offering further natural light and a UPVC double glazed window overlooking the rear garden. 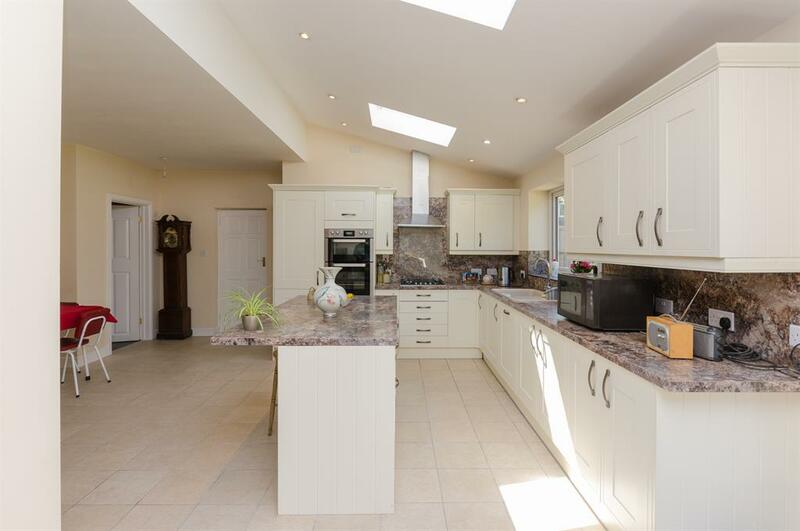 The kitchen has a good range of base and eye level units with a central island ideal as a breakfast bar with built in double oven, dishwasher, gas hob two radiators, spotlights, extractor, further space for six to eight diners and wooden doors leading to a pantry with Terracotta tiled flooring, downstairs WC and side vestibule. 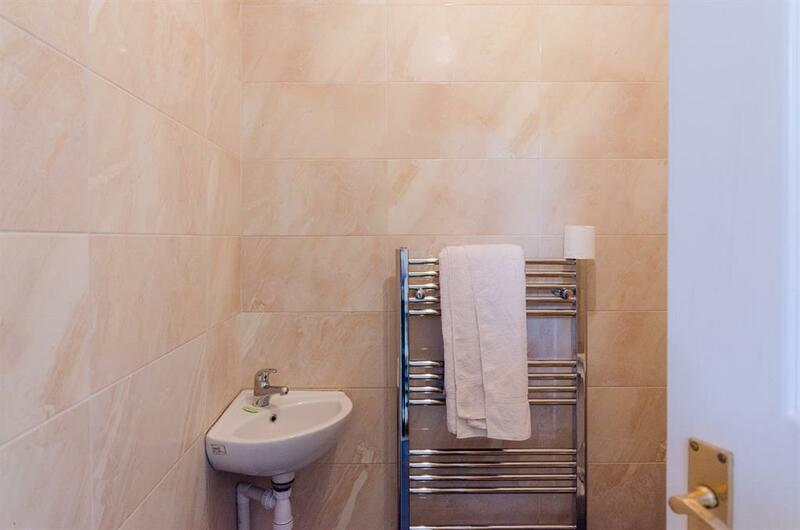 Fully tiled flooring and walls with a low level WC, modern corner wash hand basin, feature chrome towel rail and extractor. 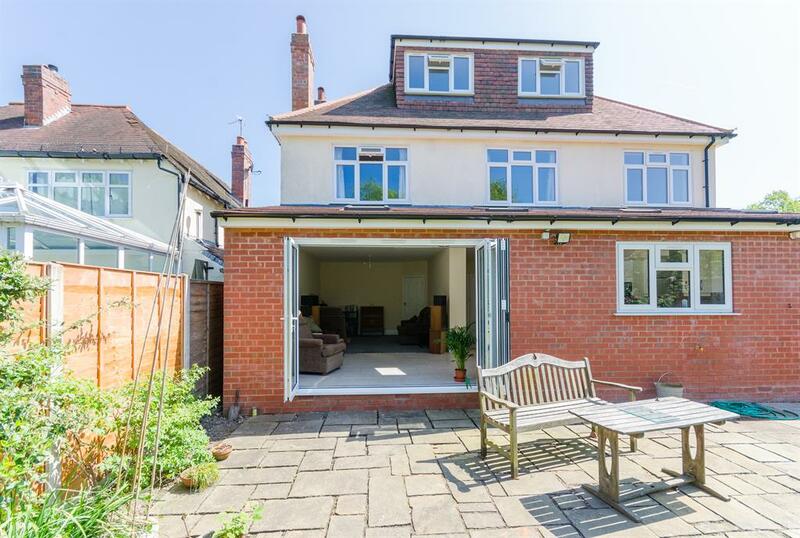 Fully enclosed leading from the rear of the garage through to the rear garden via a UPVC double glazed door with a utility area with plumbing and space for a washing machine, work surface and also housing a Worcester Bosch combination boiler, Mega flow system and a Velux window offering natural light. 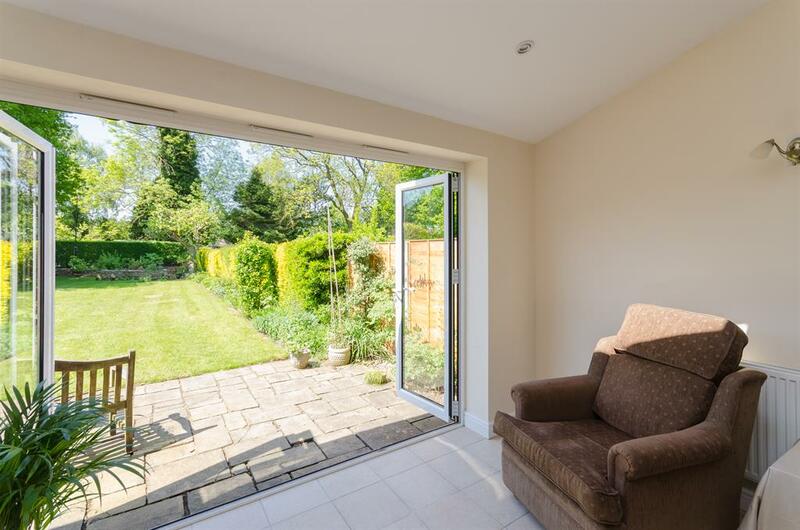 Beautiful flat garden with a slabbed patio running across the width of the property ideal for entertaining. 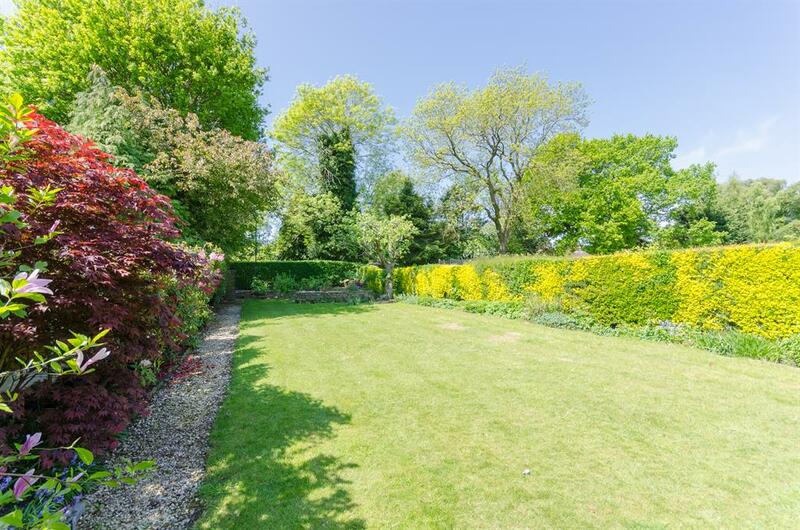 A gravel path leading to the bottom of the garden, large lawn area all surrounded by mature bushes, trees, shrubs, flower beds, rockeries and hedgerow with fencing to one side. 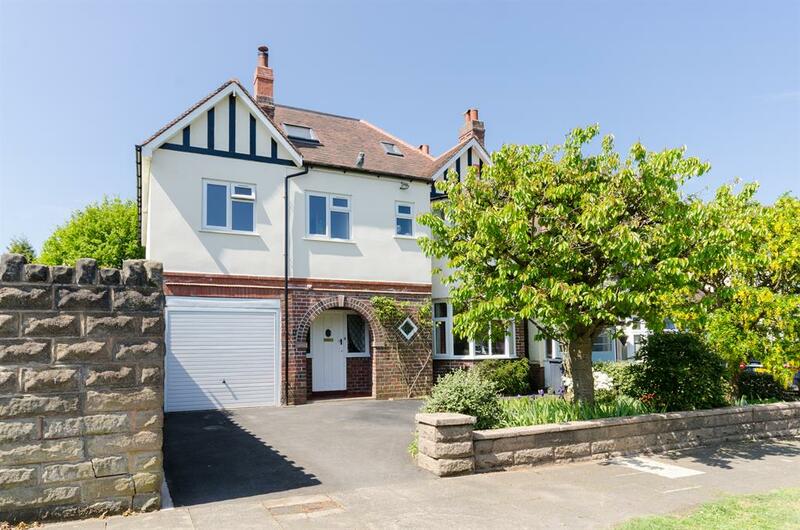 Th stairway has a wooden balustrade and leads to the first floor with wooden doors leading to five bedrooms, the family bathroom and further stairs leading to the second floor. 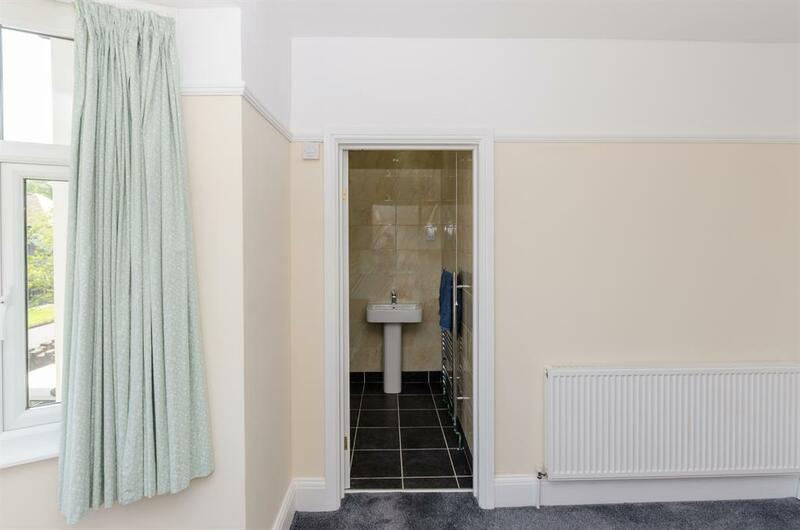 Fully enclosed shower unit, low level WC, modern pedestal wash hand basin, feature chrome towel rail, fully tiled throughout with a UPVC double glazed opaque window overlooking the frontage. 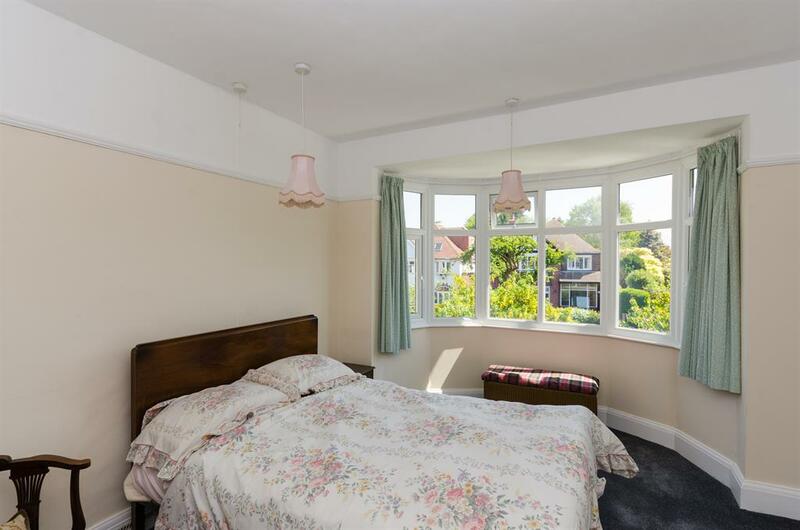 Large double room with a UPVC double glazed window overlooking the rear garden with radiator under, picture rail, high skirting boards and plenty of room for bed, dressing table, wardrobes, chest of drawers and bedside tables. 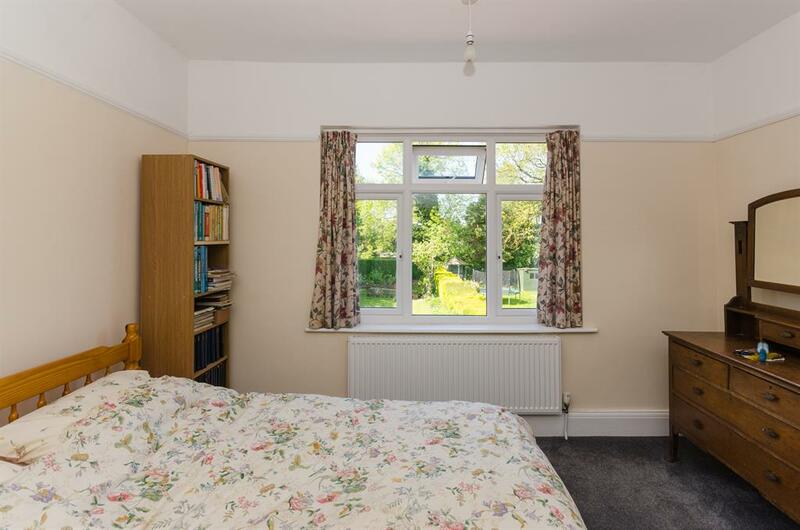 Further double room with a UPVC double glazed window overlooking the rear garden with radiator under, high skirting boards, picture rail and plenty of space for furniture. 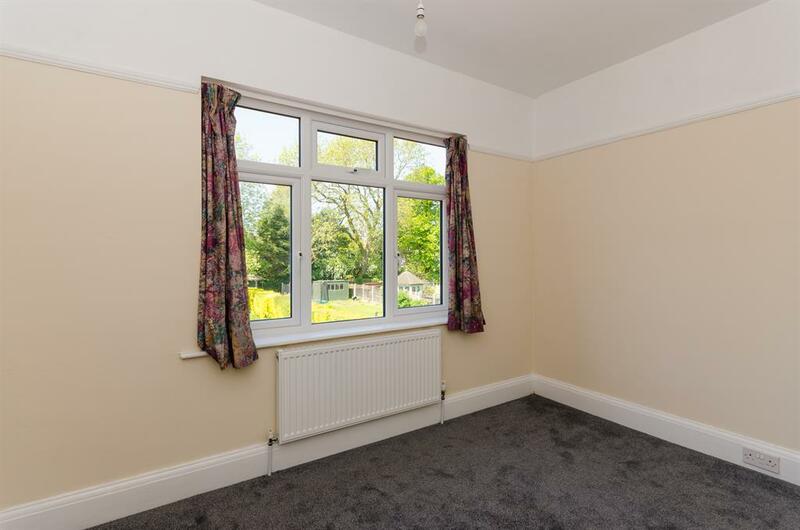 Good size double room with a UPVC double glazed window overlooking the rear garden with a radiator to one wall and plenty of space for furniture. 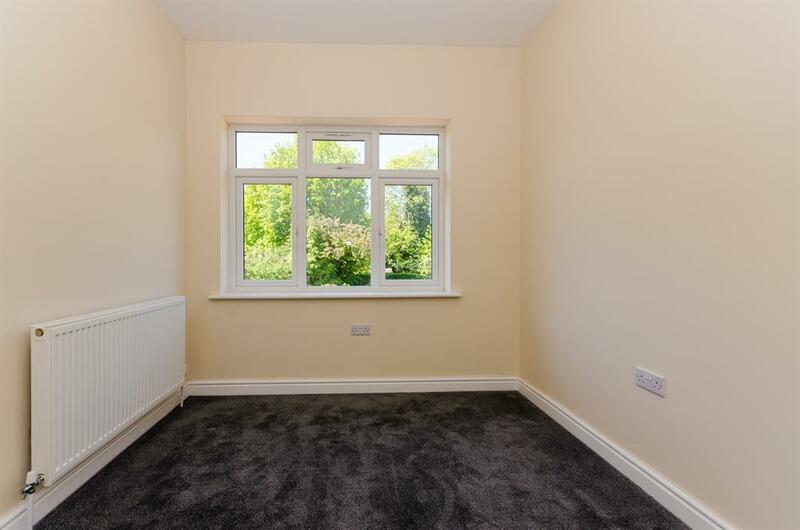 Good size single room ideal as a study, nursery or single room with two UPVC double glazed windows overlooking the frontage with radiator under. 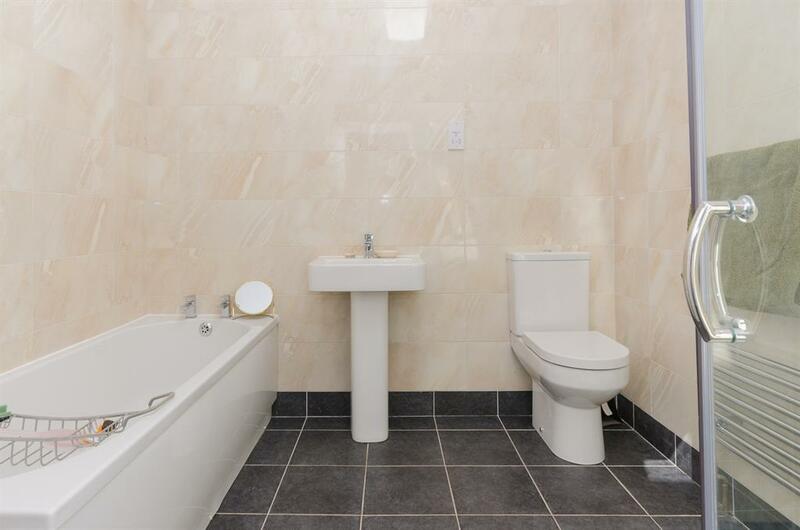 Large bathroom with a three piece matching white suite consisting of bath, low level WC and modern pedestal wash hand basin with a feature chrome towel rail with a fully enclosed shower unit, fully tiled floors and walls, spotlights, extractor and Velux window offering natural light. 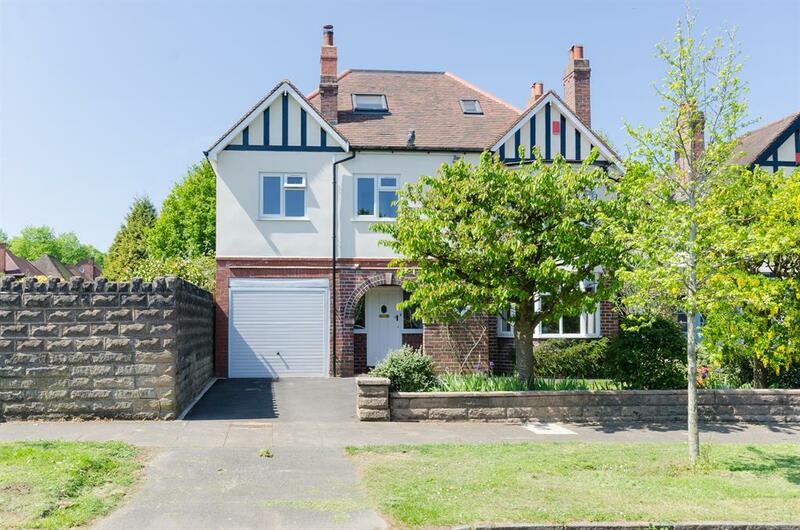 Having a wooden balustrade and leading to the second floor, opening out to an office/ dressing room area with wooden doors leading to the ensuite bathroom and bedroom with a UPVC double glazed window overlooking the rear garden. 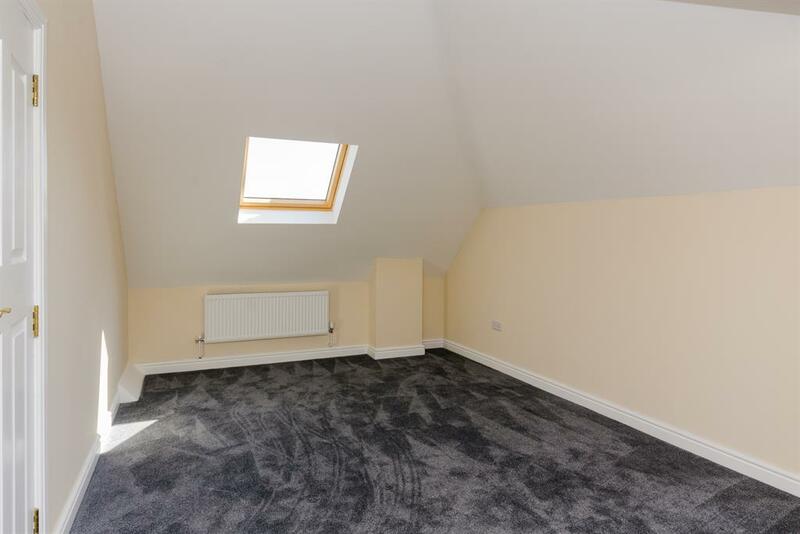 This floor could be used as a completely separate annexe with dressing room, lounge, ensuite and kitchenette if required. 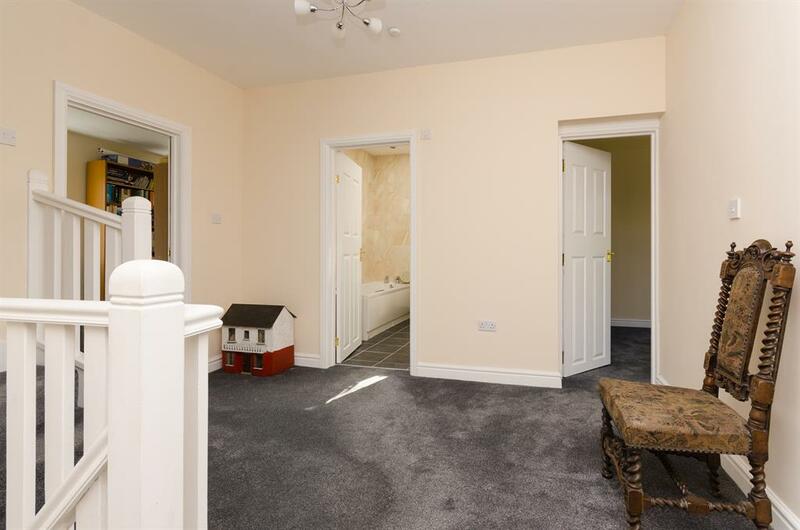 Large dual aspect double bedroom with a Velux to one end and a UPVC double glazed window overlooking the rear garden, radiator, plenty of space for a double bed, wardrobes, dressing table chest of drawers and bedside tables. 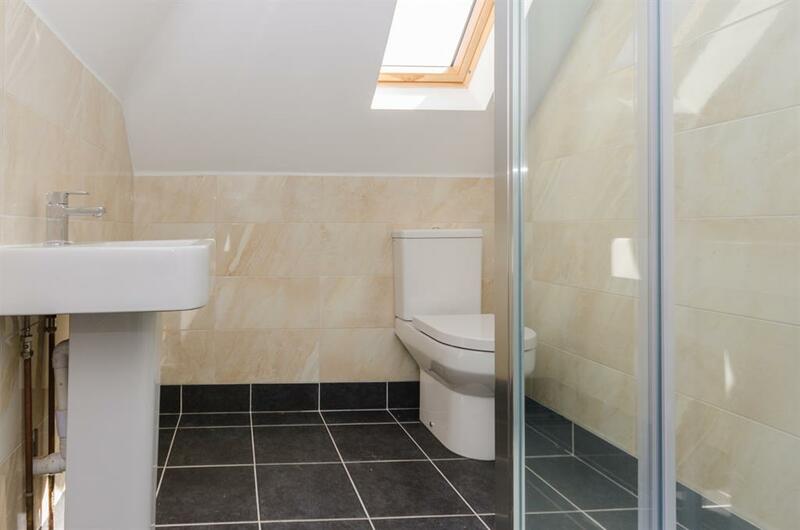 Having a fully enclosed shower unit, low level WC, modern pedestal wash hand basin, feature chrome towel rail, spotlights, extractor, fully tiled floor and walls and a Velux window offering natural light. 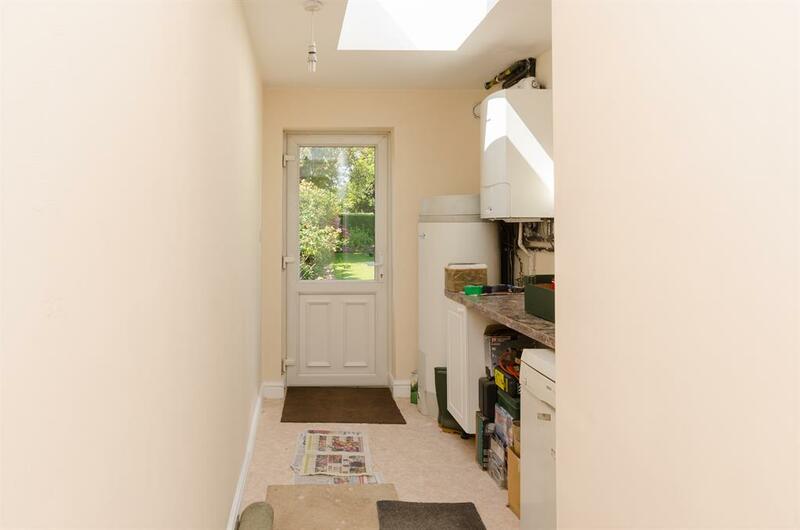 With an up and over door and a wooden fire door leading to the side vestibule and through to the rear garden.